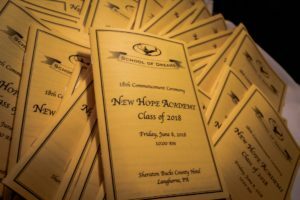 “Fill your lives with joy” was Kathleen Rosso-Gana’s advice to New Hope Academy’s graduating class of 2018. 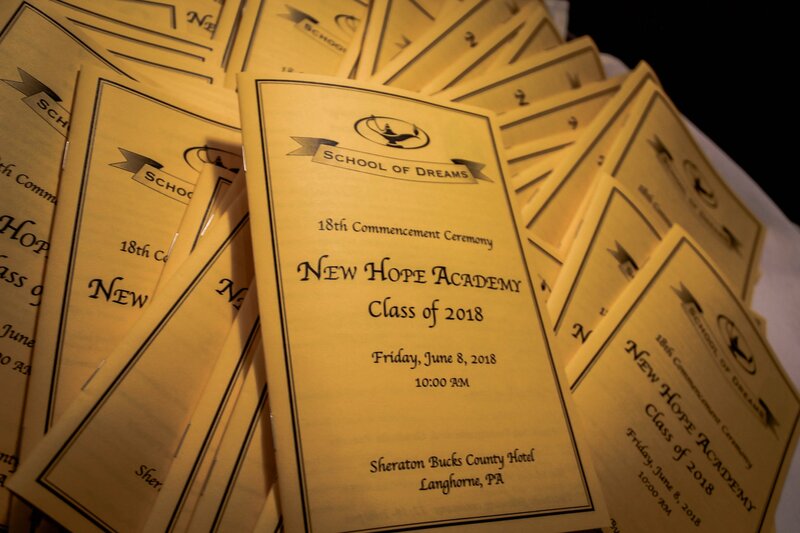 June 8 was a day that certainly changed the worlds of many, for that was the day NHA held its 18th commencement ceremony at the Sheraton Bucks County Hotel. The enthusiastic graduates smiled in anticipation as they sat among their school administrators. Family, friends, undergraduate students, and teachers proudly watched from the audience. Songs performed by the NHA music department helped to make the ceremony a memorable one. Presentations included “God Bless America” and “Amazing Grace,” performed on the bagpipes by music teacher Cameron Stahl; “Across the Universe,” performed by music department chair Chris Cinalli; “This Is Me,” performed by theater department chair Jenna Parrilla; and “Anyway,” performed by music teacher Lindsay Groft. Adding to the significance of the day was the artwork produced by the graduating seniors, which was displayed in the hotel lobby. Guests could admire the creativity of the class and the amazing demonstrations of self-expression. NHA’s graduation ceremonies are distinguished by the amount of graduates invited to speak. 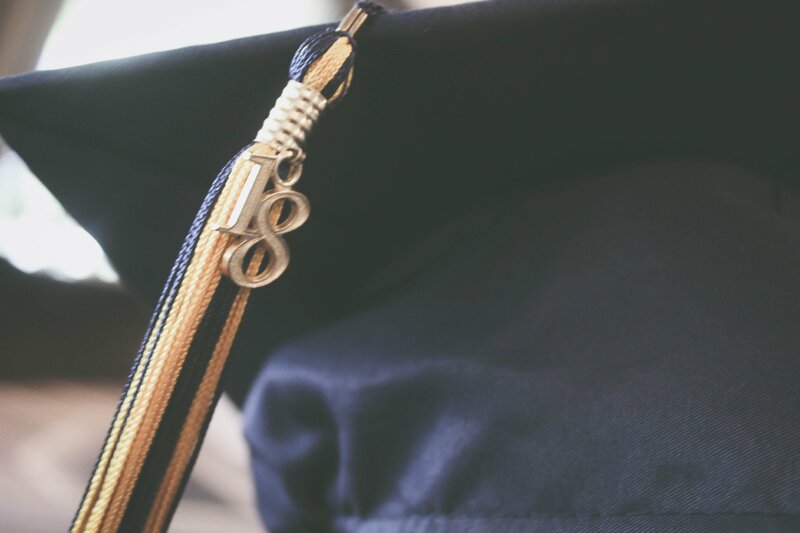 This ceremony featured three Valedictorians, two from the Yardley campus and one from the Doylestown campus, as well as two Salutatorians and two Commencement Closers. Additionally, the ceremony featured four Honored Graduates, who are students who have the distinction of attending NHA for at least four years. All of the speakers spoke about the struggles and experiences that brought them to NHA, the successes that led them to this very memorable moment, and the hope they have for the future. This year’s keynote speaker was attorney Hollie B. John, who congratulated the graduates on their important accomplishment and also offered advice on how to achieve success. Finally, the class of 2018 marched offstage to “Gonna Fly Now” (the theme from Rocky), inspired, excited, and ready to change the world.